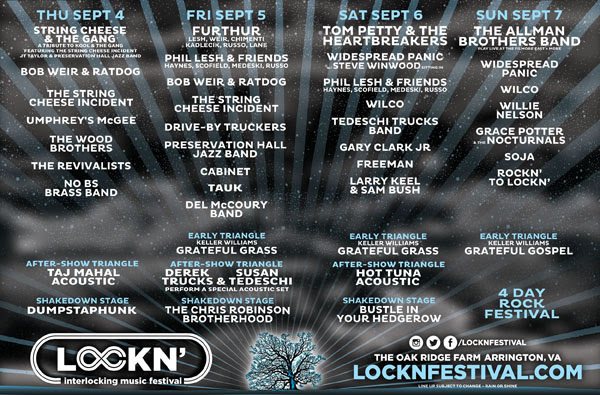 Dumpstaphunk joins a gang load of musicians for the 2014 Lockn’ Music Festival in Arrington, Virginia this September. Tauk, Taj Mahal and a group of special guest have also been added to the bill. The String Cheese Incident has been on fire this summer, and continues their big plans with a special Thursday night performance featuring: JT Taylor, and Preservation Hall Jazz Band to make up the String Cheese & The Gang. This unique collaboration will highlight music from the Kool & the Gang catalog. Thursday also highlights highly anticipated sets from: Bob Weir and Ratdog, Umphrey’s McGee and The Revivalists. Derek Trucks and Susan Tedeschi will perform a special Friday evening acoustic set at the Triangle Stage. This will be a stripped down setup to their other performance, but should be intimate and compelling in its own way. Saturday night includes a special performance with Widespread Panic featuring Steve Winwood, a headlining set with Tom Petty and the Hearbreakers, and Hot Tuna Acoustic late night. Sunday night features a very special concerts with The Allman Brothers Band, Willie Nelson, Wilco and Grace Potter & the Nocturnals. Tickets for the Lockn’ Music Festival are still one sale through the main website. They have general admission available, student tickets, VIP, as well as nearby hotel packages with shuttles available. Lockn’ Music Festival offers single day passes for people on the move starting July 8. 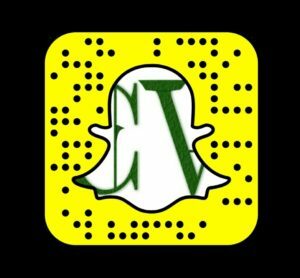 Check out more via their main website.